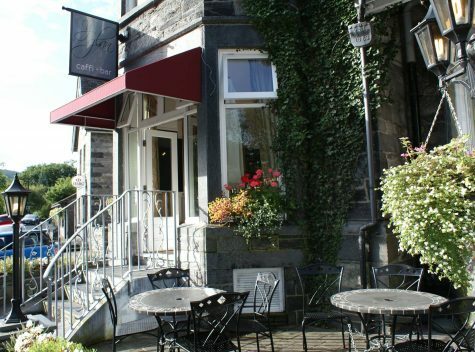 The main street, Holyhead Road, has numerous inns and bed-and-breakfasts accommodation. 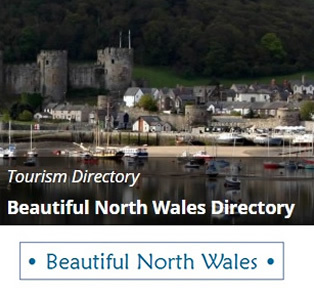 Shops specialise in outdoor clothes and the tourist center provide maps and advice on day trips in the area. 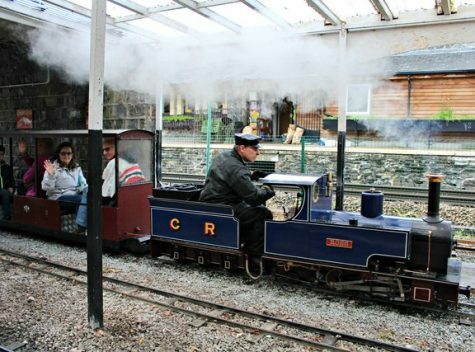 At the railway station is a Museum with a miniature railway, shop and restaurant. The old 14th century church of St Michael’s is one of the oldest in Wales and is worth viewing. Thomas Telford’s iron Waterloo Bridge built in 1815, which carries the A5 across the River Conwy, bears the cast iron inscription “This arch was constructed in the same year the battle of Waterloo was fought”. 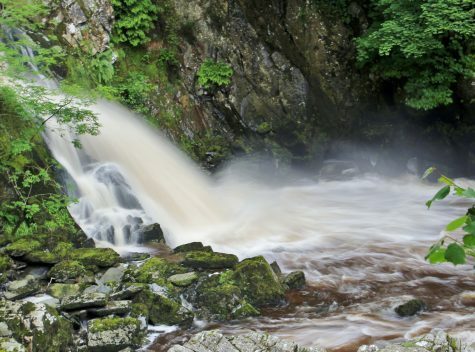 Also worth visiting are the awesome Conwy Falls off the road to Pentrefoelas and the beautiful Fairy Glen off the A470 where the River Conwy flows through a narrow gorge. Stone Age man lived in the area and was responsible for the Neolithic Burial Chamber at Capel Garmon. During the Bronze Age (at about 2000 BC) the Beaker Folk who originated from Spain sailed into Britain, bringing with them metal-working, although they did not penetrate into the mountainous areas which remained the preserve of the Neolithic people. The Celts arrived from Central Europe about 600 BC introducing the use of bronze and later iron-working. 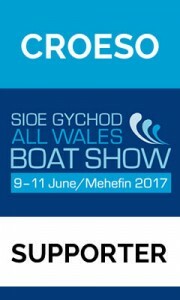 They developed tools bringing improvements in agriculture and during this period the roots of a distinctive Welsh life and culture can be detected. These Celts were known as the Britons. The Romans invaded Britain in AD43 and by AD78 the conquest of Wales was complete. The lives of the Celtic peoples was not greatly affected in the area as the Romans were largely confined to their hill forts and roads. However the Romans left a legacy of improved agricultural practices (including the introduction of sheep) and mining technology when they left Wales in AD383, as well as introducing Christianity. After the Romans left, much of Britain was overrun by the pagan Anglo-Saxons and others from the continent, and the Picts of Scotland and the Irish also attacked the Celtic Britons. This was the period of the Arthurian Legends, but the area around Snowdonia remained a Celtic stronghold, although the Welsh became separated from their Celtic cousins in Cornwall and Cumbria. The area was part of the Kingdom of Gwynedd which covered north west Wales, although its borders changed depending on the fortunes of its ruler at the time. 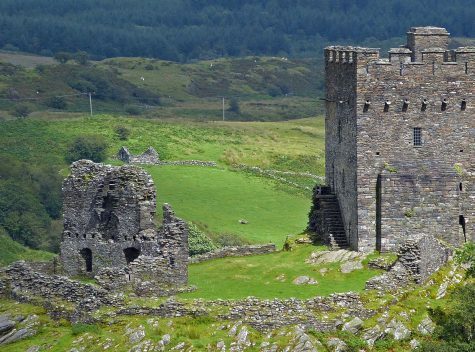 Although England was conquered by the Normans in 1066, Wales was not successfully conquered for over 200 years and it was during this period that many castles were built such as Dolwyddelan by the Welsh and Conwy by the Normans. During this time Wales was perhaps at its strongest when Gwynedd was under the rule of Llewelyn ap Iorwerth also known as Llewelyn Fawr (Llewelyn the Great). He was born in Dolwyddelan, succeeded in uniting Wales when King John was on the English throne and had a lot of connections with this area. With the final conquest of Wales by Edward I, and the death of Llewelyn ap Gruffudd, Prince of Wales (grandson of Llewelyn Fawr) in 1283, Wales was ruled by the English. This was the last Celtic rule until Merlin’s prophecy came true and the Welsh Tudors took the throne of England. During the Tudor period laws discriminating against the Welsh were repealed which led to the prominence of local families such as the Wynns of Gwydir. 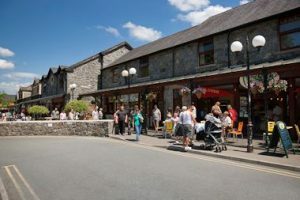 The local economy was based on agriculture, and in the 19th century slate quarrying and woollen mills were developed. The slate quarries are now shut down, but agriculture continues to be the mainstay of the economy along with tourism which developed in Victorian times. Up in the hills at nearby Capel Garmon there is a celebrated cromlech; a 5,000 year old Neolithic burial chamber. There are also spectacular views of the mountains of Snowdonia from Capel Garmon. 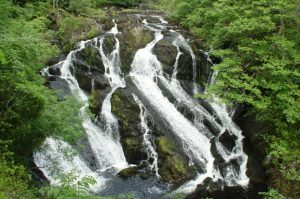 The Swallow Falls are considered to be one of the loveliest spots of North Wales. Here the river rushes down from the mountains. Crags and jagged rocks divide the stream into a number of foaming cascades. 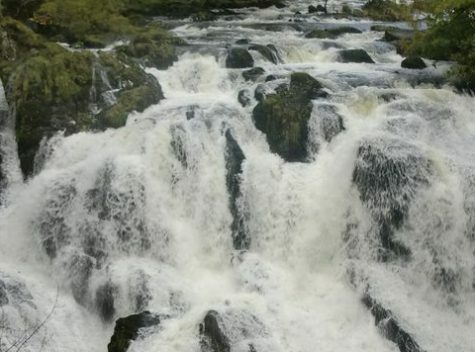 A mile further on are the famous Swallow Falls, where the Llugwy river hurls itself into a spectacular chasm. 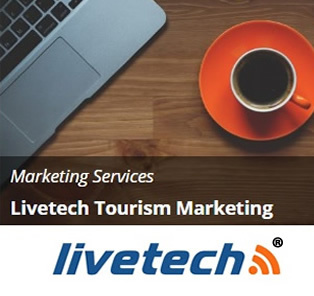 ‘A long bike ride or hike in the chilly Welsh air, sometimes with a light drizzle as an accompaniment, will help diet-conscious tourists understand why traditional Welsh cuisine is heavily dependent on butter and cheese. Welsh rarebit – a dish consisting of cheese sauce with a mustard tang poured over buttered toast – might sound like a heavy dish for a midday meal, but it seems natural in the Welsh climate. 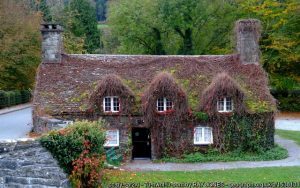 You can try the rarebit at Tu Hwnt I’r Bont, a 15th-century stone cottage in Llanwrst, on the other side of the Gwydyr Forest from Betws-y-Coed. 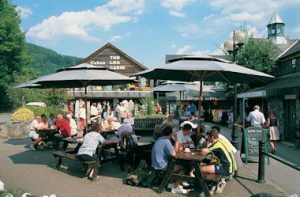 The teahouse, which sits on a riverbank, its roof level to the road, is prepared for tourists: Its dark, low ceiling beams bear warnings for diners to “watch your head” in languages ranging from German to Arabic. The Welsh cuisine, which locals concede once was heavy and laden with fatty meats, has recently become more refined. The Glamorgan sausages at the Riverside restaurant in Betws, for example, are served with a light, chunky tomato sauce accented by leeks. Glamorgan sausages are touted as the original vegetarian dish, created by the Welsh out of vegetables and cheese for times when meat was pricey or scarce. For those who haven’t tired of dairy products, afternoon tea is served with buttered bara brith, a loaf bread similar to – but lighter than – fruitcake. 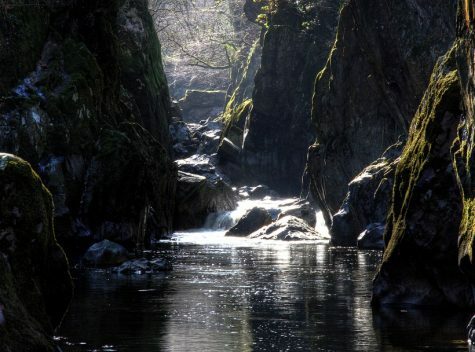 Visitors to Betws-y-Coed, as with other towns in North Wales, will hear the locals speak Welsh. 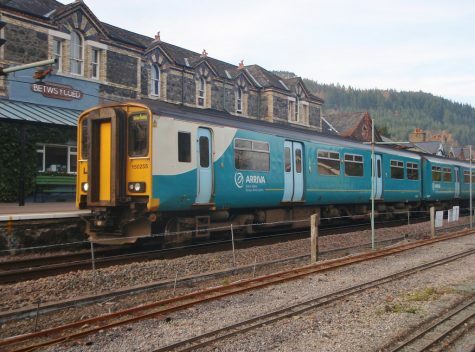 This warm croeso, or welcome, is itself part of the Welsh culture – expressed through the bilingual signs that greet tourists in every small town. In the past the English outlawed the Welsh language but it lived on through the singing, reciting and storytelling that are a part of Welsh daily life. 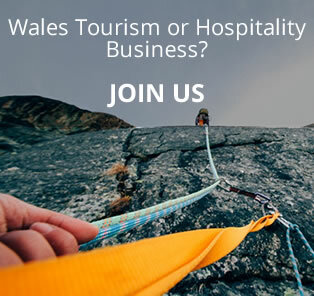 The recent development of the National Assembly for Wales had produced a heightening sense of national identity, allowing foreigners a greater opportunity to experience Welsh culture . 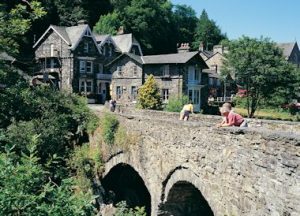 At the very heart of the National Park, this rugged mountain village is the mecca for climbing and walking in Snowdonia. 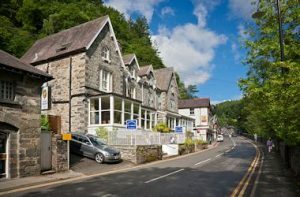 Ringed by the Glyders, Moel Siabod and the foothills of the Carneddau range, Capel Curig is the home of Plas-y-Brenin – the national centre for mountain activities. 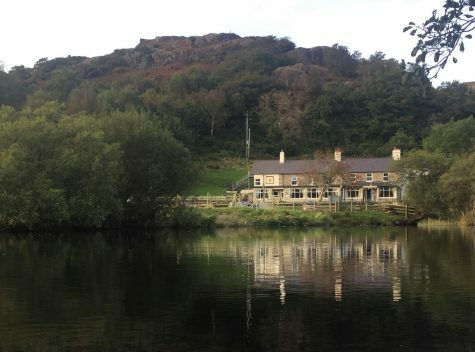 Also at Capel Curig is Ty Hyll (The Ugly House), so named because of the huge uneven boulders in its walls. 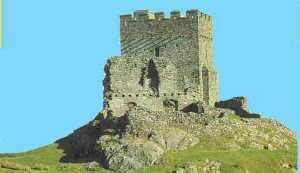 Dolwyddelan Castle must be the most dramatically sited castles in Wales, built by the native Welsh prince Llwelyn the Great. The views over Snowdonia from the castle are superb.